For over 100 years, Skyway has understood your love of travel. That’s why our diverse offering of luggage and travel accessories focuses on quality materials, innovative features, and creative designs—to feed your sense of wanderlust again and again. Founded in 1910 by A.J. Kotkins, Skyway began operation from Seattle’s Pioneer Square under the name Seattle Suitcase, Trunk and Bag Manufacturing Company. A.J.’s son, Henry Louis Kotkins, joined the business in 1936. With a vision inspired by the growing airline industry and the excitement of air travel, he introduced a line of luggage called “Skyway.” Kotkins’ commitment to delivering high-quality products earned him a loyal following of international travelers seeking a reliable-yet-accessible travel experience. 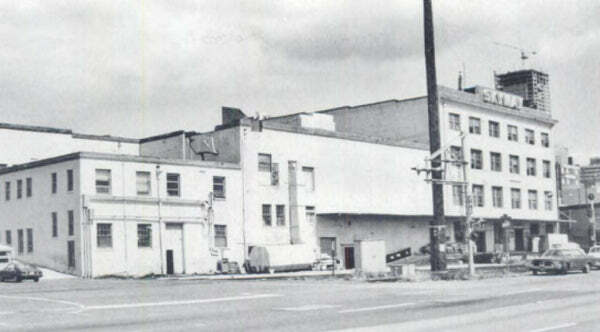 Image: The original Seattle Suitcase Trunk and Bag Manufacturing Company factory located on 2nd Avenue Seattle. Seattle Municipal Photograph Collection. Today, the brand continues to manifest its respected reputation through constant innovation. Characterized by the utilization of durable materials to create lasting travel statements, Skyway is the perfect companion for the adventurer. Our luggage does more than hold your possessions. We add functionality to whatever trip you’re taking. We are an extension of your personal style. We make your travel experience better because we stand by the ideals of quality, functionality and modern style. Skyway pioneered many luggage innovations in the past century, ultimately changing the travel industry. These roots are continually apparent in the updated luggage designs of today. Skyway strives to demonstrate how a brand, culture, and consumers can be brought together around the same values. At our core, we are a brand devoted to delivering luggage and travel accessories for a community that has a love for adventure, appreciates products that have universal appeal, and are user-friendly. They value brands that are committed to quality while delivering affordable value. We understand that these are the principles highly valued by our community and are committed to fulfilling them. When it comes to the future at Skyway, we think the sky’s the limit. That’s because we understand the human desire to create new experiences. Indulge our minds, push our boundaries, make new memories, write new chapters. At Skyway, we live for these journeys. We continually strive to craft high-quality luggage and travel accessories to help you live your best adventures. And we’re proud to be along for the ride as your travel companion.